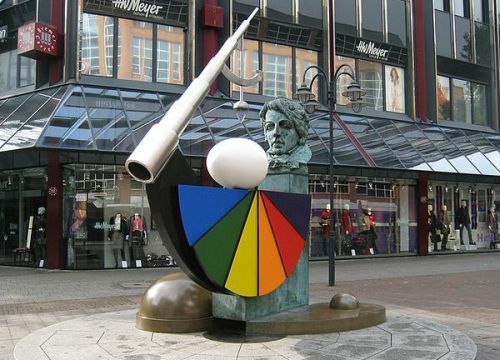 The Bessel-Ei is a monument dedicated to astronomer and geodesist Friedrich Wilhelm Bessel. The Bessel-Ei is a monument dedicated to astronomer and geodesist Friedrich Wilhelm Bessel. It has a semi-circular spectrum atop which sits an egg, an exaggerated representation of Bessel's calculated shape of the Earth. At one end is a stylized telescope, while a bust of Bessel is at the other end.